Compiled from Bruce Lee's notes and writings, Bruce Lee Jeet Kune Do is the seminal book presenting the martial art created by Bruce Lee himself. Jeet Kune Do was a revolutionary new approach to the martial arts in its time and is the principal reason why Bruce Lee is revered as a pioneer by martial artists today, many decades after his death. The development of his unique martial art form-its principles, core techniques, and lesson plans-are all presented in this book in Bruce Lee's own words and notes. This book is the complete and official version of Jeet Kune Do which was originally published by Tuttle Publishing in cooperation with the Lee family in 1997. It is still the most comprehensive presentation of Jeet Kune Do available. This Jeet Kune Do book features Lee's illustrative sketches and his remarkable notes and commentaries on the nature of combat and achieving success in life through the martial arts, as well as the importance of a positive mental attitude during training. Also, there is a series of "Questions Every Martial Artist Must Ask Himself" that Lee posed to himself and intended to explore as part of his development, but never lived to complete. 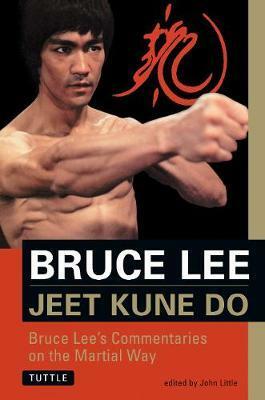 Bruce Lee Jeet Kune Do is the book every Bruce Lee fan must have in his collection. In 1970, Bruce Lee suffered a back injury which confined him to bed. Rather than allowing this to slow his growth as a martial artist he read feverishly on Eastern philosophy and Western psychology, constructing his own views on the totality of combat and life. It was during this time that Lee wrote 7 volumes containing his thoughts, ideas, opinions, and research into the art of unarmed combat, and how it applies to everyday life. Some of this material is now available for the first time. This landmark book serves as a complete presentation of Bruce Lee's art of jeet kune do. The development of his unique martial art form, its principles, core techniques, and lesson plans are presented here in Lee's own words. It also features Lee's illustrative sketches and his remarkable treatise on the nature of combat, success through martial art, and the importance of a positive mental attitude in training. In addition, there are a series of "Questions Every Martial Artist Must Ask Himself", that Lee posed to himself and intended to explore as part of his own development, but never lived to complete. Jeet Kune Do: Bruce Lee's Commentaries on the Martial Way is the book every Bruce Lee fan must have. John Little is considered to be one of the world's foremost authorities on Bruce Lee. He's the only person who has ever been authorized to review the entirety of Lee's personal notes, sketches and reading annotations, giving him an insider's look at Lee's training methods and philosophies. He's shared this information with Lee's fans in his books published by Tuttle Publishing, including: The Art of Expressing the Human Body; Bruce Lee: Artist of Life; Letters of the Dragon; The Tao of Gung Fu: A Study in the Way of Chinese Martial Art; Striking Thoughts: Bruce Lee's Wisdom for Daily Living and Bruce Lee: The Celebrated Life of the Golden Dragon.